Photo copyright Adaaran Prestige Vadoo. Video copyright Adaaran Prestige Vadoo. 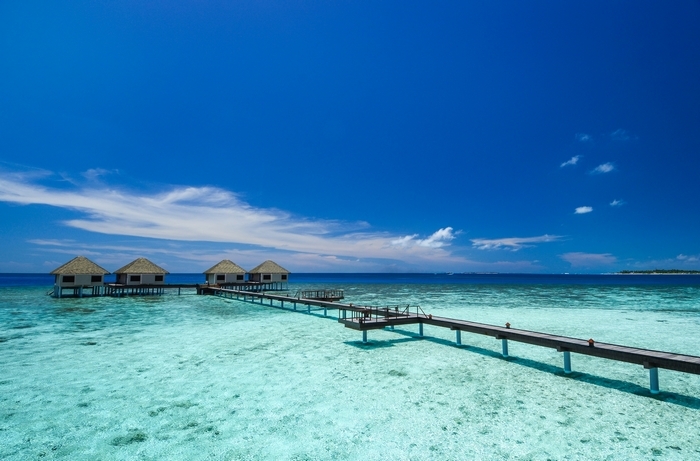 Adaaran Prestige Vadoo Welcome to Adaaran Prestige Vadoo, the prestigious Maldives Luxury Resorts, where time ceases to exist and the voice of the Indian Ocean beckons you to her shores. As the gateway to the South Atolls, Vadoo possesses its own exotic reef teeming with vibrant aquatic flora and fauna. Awarded as the World’s Leading Water Villa retreat at the World Travel Awards in 2010, Adaaran Prestige Vadoo is a luxurious Maldives Island resort that stands out amongst the best. The list of indulgences that awaits you at our Maldives Island resort can only be matched by the captivating lushness of the surroundings.